Pledge To Be A Pro-Immigrant Voter. Protect Immigrant Families. Defend Our Values. Turn The Tide In Tennessee. 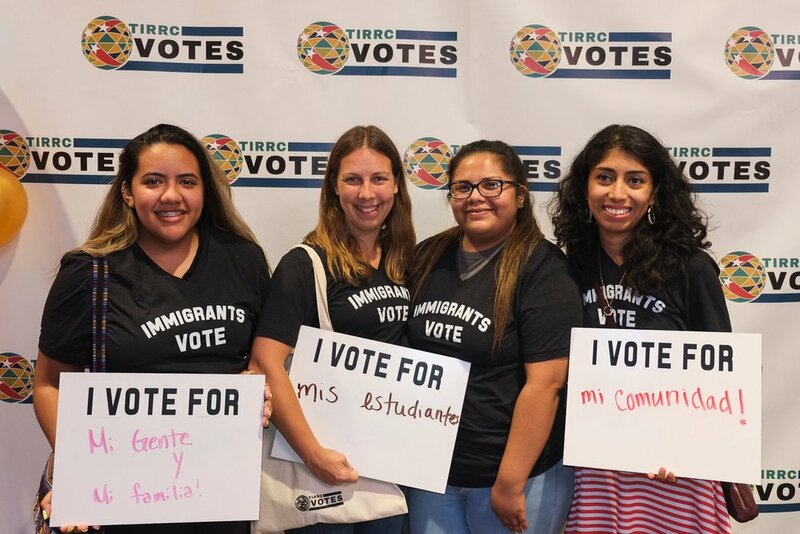 TIRRC Votes strengthens and expands our democracy by building power in immigrant and refugee communities and advocating for equitable and inclusive public policy. This August, voters in Nashville will elect our mayor, vice mayor, and 40 council members. Immigrant communities are under attack by the president and a hostile state legislature. It's more important than ever that our local governments stand up for our values and to defend our communities. Together, we can make sure that our elected officials make Nashville a truly welcoming city. We launched TIRRC Votes to make sure that immigrants, refugees, and their allies are powerfully engaged in the critical elections this year. Join us by making a donation today! Following the massive immigration raid in East Tennessee, passage of one of the country’s most extreme mass deportation laws, state legislators suing the federal government to keep refugees out, and another cruel defeat of Tuition Equality legislation, Tennessee is at risk of becoming one of the most hostile and unwelcoming states in the nation. This is a crisis for immigrant families and our democracy. To counter the rising tide of nationalism and hate sweeping across our state and country, we must invest in long-term strategies to build real political power, support equitable and inclusive public policy, defeat anti-immigrant candidates, and elect real champions for immigrant families and progressive values. That’s why we launched TIRRC Votes. In this moment of crisis, immigrant families need new tools and greater political organization to fight back. And we need your support.